The cornea is the very front surface of the eye or the outer surface of the eye. The cornea plays a major role in how you focus on images. In conjunction with your natural crystalline lens the cornea helps to provide required focusing power. If the cornea becomes weak or damaged serious visual problems may arise. Because the cornea is such an important part of your visual system please make sure to contact a qualified ophthalmologist if you think you might have damaged your cornea. Treating damaged or irregular corneas is something that is routinely done at our eye care office. Each damaged cornea requires special attention by our eye doctors. Typically we can start treating the cornea with medication. 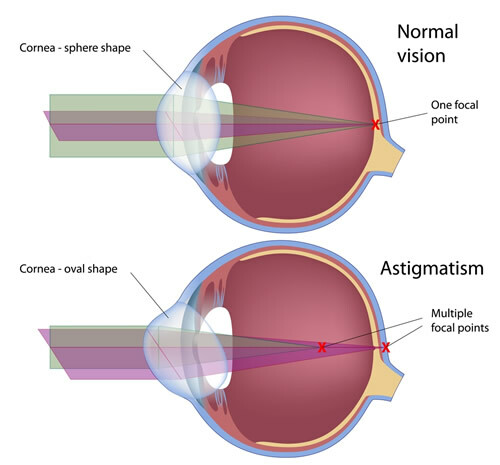 If your vision cannot be accurately corrected with medications, eyeglasses or contact lenses a corneal transplant may be required. To learn more about the cornea, click on the video animation below.